Now, Hydroxycut® is bringing a variety of new digital tools to provide the best possible support for those embarking on a lifestyle change. For 2018, America's #1 Selling Weight Loss Supplement Brand is launching a campaign that provides new and enhanced tools to help customers better manage their fitness goals, including an all-new digital app for convenient, personalized support on mobile devices. The app is supported with the recently launched "Lose Weight Your Way!" campaign by helping men and women find the right balance to achieve the most success. Each person can develop their own nutrition plan, pick activities they will enjoy and follow regularly, and experience the Hydroxycut® advantage with an array of customized products. Consumers can choose the supplement format that works best for them — from convenient pills, to a refreshing drink mix or delicious soft-chew gummies — there are a variety of options to suit nearly any lifestyle. 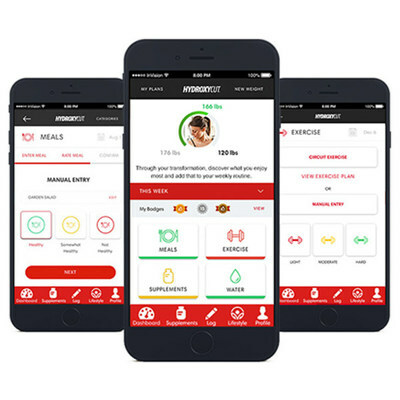 "One of our highest priorities with Hydroxycut® is to ensure we provide the best possible support tools that enable consumers to optimize their lifestyle results, and we feel our enhanced digital app and customizable weight loss support programs really hit the mark," Chief Marketing Officer Brian Cavanaugh stated. "Consumers have told us they use Hydroxycut® because it has been an effective weight loss brand for more than two decades. With today's younger audiences wanting more time and energy to enjoy everyday lifestyle activities, these new programs add another dimension of ease and accessibility for consumers during their weight loss journey." The Hydroxycut® brand app is free to download and offers simple-to-follow meal plans, activity guides and information. Click here https://www.hydroxycut.com/app/ to learn more. To help reward consumers for trying Hydroxycut®, the brand has launched an exclusive rewards program to give back to consumers for starting their weight loss journey. The program provides qualified customers with a special $5.00 savings coupon to use on their next purchase of eligible Hydroxycut® products. Visit www.hydroxycutrewards.com for all the exciting details. Hydroxycut® is an industry leader with a unique range of innovative formulations and technologies. Hydroxycut Black® now includes the popular ingredient ALA (alpha lipoic acid) to help metabolize proteins, carbs and fats. Hydroxycut® Platinum is an inclusive 5-in-1 formula that contains active probiotics and 19 vitamins and minerals. The original, best-selling Hydroxycut® Pro Clinical now includes Apple Cider Vinegar, while Hydroxycut® HD features Smart Release Microbead Technology™. Hydroxycut® has sold more than 100 million bottles and continues to be a nutritional supplement leader by bringing unique and innovative products to consumers who want to change their lives. For more than two decades, the brand has been successfully inspiring and empowering weight loss for people who want real results. Hydroxycut® products are available nationwide at WalMart, Target, Walgreens, CVS, GNC, Rite Aid, Vitamin Shoppe, Amazon, Bodybuilding.com and other fine retailers. For more information on new Hydroxycut® products, click www.Hydroxycut.com. Also follow us at Facebook.com/Hydroxycut and @hydroxycut on Twitter and Instagram for product news and updates, diet and training tips, special promotions and more. Iovate Health Sciences is a dynamic, leading-edge nutritional supplement company with the highest quality, most innovative and effective supplements in the world. Iovate brands are sold in over 130 countries globally, and include the sports and active nutrition brands MuscleTech®, Six Star Pro Nutrition® and Purely Inspired®.